The U.S. Army Corps of Engineers partners with Mercy Cycling to manage the 10 mile long Springhill Park Mountain Bike Trail. The winding trail consists of 3 loops. 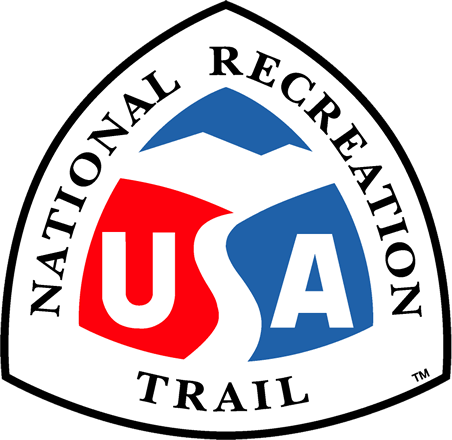 The trail was constructed in August of 2001. Location: Springhill Mountain Bike Trail is within Springhill Park in Barling, Arkansas. From Van Buren, AR take SH 59 south 8 miles to the park entrance. From Barling, AR take SH 22 north 1.5 miles to the park entrance, take SR 897 west c. 6 miles to park entrance. 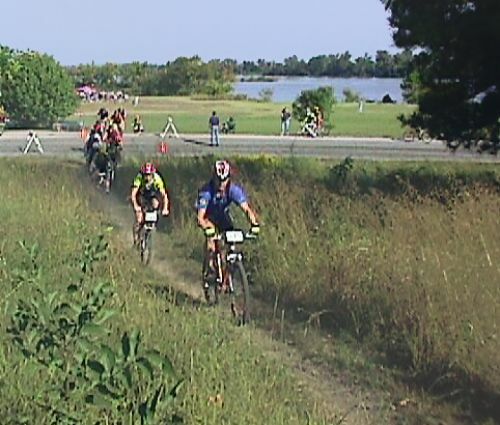 In 2001, the Corps of Engineers partnered with Mercy Cycling Club (Mercy Cycling) to construct a mountain bike trail in Springhill Park. The purpose of the trail was 2-fold. Undesirable activity discouraged park users from the Corps park and Mercy Cycling Club was seeking a location to build a permanent trail. An environment conducive for families, hikers, and bikers was created upon completion of the trail. Use of the trail by citizens reduced undesirable activities in the park. Additionally, a lasting trail and home was realized by Mercy Cycling. The trails 10-mile route twist and wind like a spider web. Low impact bridges, built to standards of the International Mountain Bike Association (IMBA), cross gullies that empty into the Arkansas River. A Boy Scout identified a safety issue on the trail. He constructed a concave, brick and earthen structure for riders to “shoot” around a 90 degree turn. The scout received credit for a service project toward certification as an Eagle Scout. Citizens of Sebastian and Crawford counties benefit from the safe and healthy environment. The parks location on the eastern flank of Barling, Arkansas provides an escape from the close quarter housing and traffic in the Fort Smith/Van Buren metropolitan area. Regionally known as a “fast” trail by experienced mountain bikers from Arkansas, Oklahoma, Missouri, and Texas the riders take part in 2 annual competitions sanctioned by IMBA. Mercy Cycling conducts races for area riders on a monthly basis. Parents teach bicycle riding skills and trail etiquette to their children. Volunteers spend at least 2 days a month conducting maintenance on the trail. Volunteers identify and repair erosion sites rerouting portions of the trail impacted by continuous use and also build and maintain bridges. St. Edwards Mercy Medical Center donates material to maintain the bridges. The Corps of Engineers supplies aggregate material to maintain the trail. The trail is within the City of Barling, Arkansas. Barling Police Department and Corps of Engineers Park Rangers patrol the park. A long-lasting relationship has resulted between the U.S. Army Corps of Engineers, Mercy Cycling, and St. Edwards Mercy Medical Center. The surrounding area – The Arkansas River Valley offers many federal, state and city parks that will meet the needs of any visitor. The Springhill Park lies just outside of Barling, and is a close drive into Van Buren and Fort Smith or lodging, restaurants and shopping. 1. Control your bicycle. This is particularly important when you meet others on the trail. Good balance and proper braking are essential mountain biking skills. 2. Leave no trace. Don't ride in conditions where you will leave evidence of your passing, especially on certain soils after a rain. Stay on existing trails and don't create new ones. Leave what you find and pack out your trash. doesn't always mean stopping and dismounting, though sometimes that's the best idea. 4. Never spook animals. It doesn't matter if it's a fox, bear, or deer. Give all animals plenty of room and try not to startle them. 5. Plan ahead. Carry everything you need for a good ride: a spare tube and a pump, a rain jacket, basic tools. Know where you're riding. Wear a helmet.